“The true saints of God, who have clear heads, and pure, warm hearts, have in all generations had to walk between the two extremes of cold formality on the one side, and wild, ranting fanaticism on the other. Dead formality and the false fire of fanaticism are both Satan’s counterfeits, and he does not care into which extreme the soul plunges…” (George D. Watson). My story in a nutshell: In my younger years, I made fun of those who worshipped God. Sure, I would get emotional and lift my hands while watching the NFL, but in church, no way. At that time, I believed that I was strong because I could bench-press over 400 pounds, drink a 12-pack of beer, and win most of the fights I was in. I didn’t have control of my life—my life had control of me. The great divide: The division between the two groups – cessationists (those who believe that the supernatural gifts have ceased) and the continuationists (who believe that they still exist) probably will not end until Christ returns. Additionally, cessationists tend to be leery of emotionalism and continuationists tend to be the polar opposite, but is there common ground? Yes, we should all be desperate for more of God. Much of what we believe comes from who we listen to as well as our experiences. For example, I was at a large conservative pastors conference in Southern California a few years ago. A very godly man who escaped persecution in China told of how the Holy Spirit prompted him to take another route home on his bike. As a result, he barely escaped being caught by the police. We all applauded and thanked God for His guidance. But had a similar man at a Charismatic church given the same testimony, many would suggest that he was misled and “hearing voices”…that God doesn’t do that today. Much of the great divide could be narrowed through unity and humility. Emotions – good or bad? How can some quote Whitefield and Edwards, but avoid talking about the mighty moves of the Holy Spirit that occurred under their preaching – experiences and emotions that paralleled the books of Acts? We quote mighty men of God from the past who experienced revival, but we dare not mention the word “revival” because of the emotional aspects associated with it. But when God revives His people emotions follow—“Wilt thou not revive us again that thy people may rejoice in thee?” (Psalm 85:6 KJV). Further, it was not uncommon for people to tremble and weep or shout for joy under the anointed preaching of George Whitefield. When God moves, you should get “emotional.” When a pigskin travels a 100 yards across a field, millions get emotional, should not Christians saved by the power of God praise Him when they experience Him? Those who have been forgiven much love much and love fuels emotion. George Whitefield, once perplexed by the emotional things taking place when he preached, asked Lady Huntingdon for advice. She said, “Oh George, leave them alone. What they are experiencing from God will do far more than you’re preaching” (paraphrase). God often wrecks a life before He rebuilds it. On the flip-side, those who use past revivals in an attempt to validate odd behavior today perhaps have not truly researched revivals. In reading Charismatics and Calvinists, and Pentecostals and Puritans, as well as countless biographies of leaders such as Martin Luther, John Calvin, John Knox, Robert Murray M’Cheyne, and Charles Spurgeon, and puritans such as Thomas Goodwin, John Bunyan, John Owen, and Richard Baxter, nowhere do these leaders encourage the hysteria or the outright weirdness that we sometimes see today. Granted, there were rare times of strong conviction such as when people held on to trees thinking that they were falling into the abyss of hell during the famous sermon, Sinners in the Hands of an Angry God, by Jonathan Edwards. And people did cry out to God, and/or fall on the ground under the strong conviction of sin during the Revivals of George Whitefield, John Wesley, and Evan Roberts, but this is because sin, righteousness, and holiness were preached—“falling down on his face, he will worship God and report that God is truly among you” (1 Corinthians 14:25). This is true revival…it is emotional; it is unpredictable. Do we really believe the the Apostle Paul would tell us to sit down and be quiet during worship? To put our hands down and contain ourselves? Granted, he may rebuke skinny-jeans, silly trends, and sappy worship songs with no theological power, but would he handcuff our emotions? Are we embarrassed that Paul spoke in tongues? Do we feel bad for the early church because they needed the supernatural gifts of the Spirit but apparently we don’t? We need a reality check: “You shall receive power when the Holy Spirit has come upon you; and you shall be witnesses to Me…(Acts 1:8).” Emotions can be good and God-given, but make sure that they are the caboose and not the engine of the train – they follow obedience to God and His word – they are not a gauge for truth. Straight as a gun barrel, but just as empty: We need sound doctrine and the power of the Holy Spirit. It’s possible to be “Bible taught,” but not “Spirit led.” The letter kills, but the Spirit gives life (cf. 2 Corinthians 3:6). How can so many pastors recommend D. Martyn Lloyd-Jones fantastic book, Preaching and Preachers, yet conveniently avoid the last chapter entitled, Demonstration of the Spirit and of the Power. Are they embarrassed that he drove this point home in the opening paragraph: “I have kept and reserved this last lecture what is after all the greatest essential in connection with preaching, and that is the unction and the anointing of the Holy Spirit.” Pastors – have you received this unction; this baptism of fire? 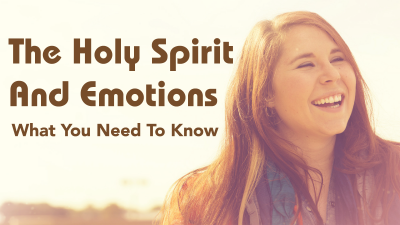 “Have you been filled and empowered with the Holy Spirit?” is the most important question you can ask. Are you truly desperate for more of God? A.W. Tozer insightfully said, “If the Lord’s people were only half as eager to be filled with the Spirit as they are to prove that they cannot be filled, the church would be crowded out.” I sincerely believe that the greatest need in the church today is to confess our sins, obey the Word, and to be filled with the Spirit. Then he writes a few years later, “If the four previous years had been hell on earth, these five years have truly been heaven on earth. Glory be to God, the last aching abyss of the human heart is filled to overflowing with the love of God.” Heaven was rent; the downpour came to his parched soul. Now the decision is yours. Fully surrender your life to the work of the Spirit today. Are you desperate for more of Him? * Watch the trailer, Desperate for More of God, here: https://youtu.be/VDZxrO6FbVI. And hear the related sermon here: https://www.youtube.com/watch?v=iovoQ1Xh4NY&t=1095s.